There's currently a trending news making wave around the cyber space of how a worthless son gruesomely stabbed his own dad multiple times on the account that his father refused to give him additional sum of 25k after giving him N136,000 for school fees. 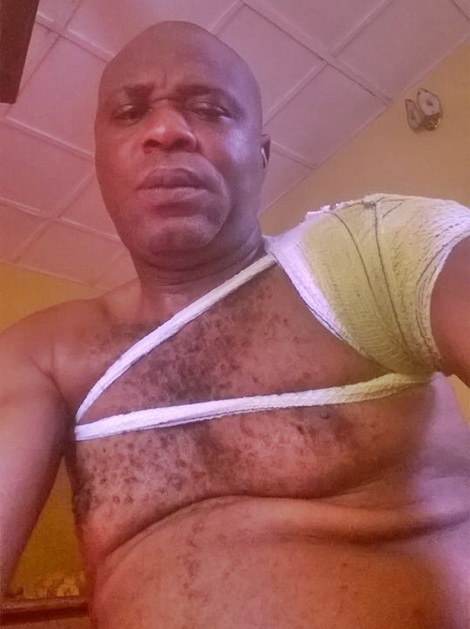 The man who reportedly gave his own son N136,000 to go to school, has regretted his decision after the young man brutally attacked his father for not giving him enough money. 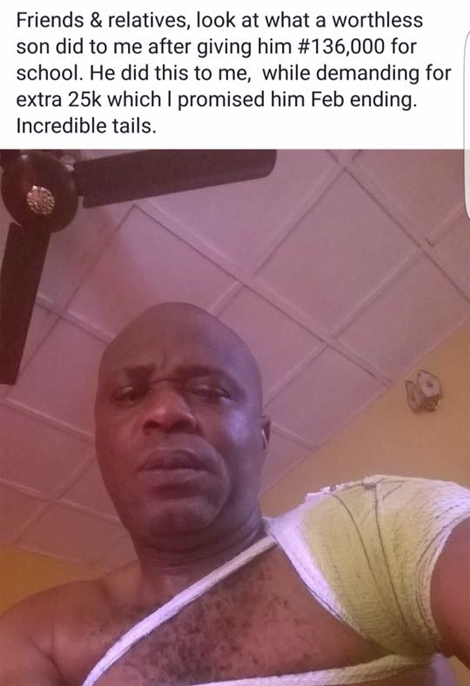 The pained father to the worthless son has taken to the social networking platform, Facebook, to reveal with photos how he was left injured, allegedly by his son over disagreement following money for school, as he labelled his son 'worthless'. In the Facebook post, the distraught man revealed that he gave his son N136,000 for school and his younger sister N95,000 as the boy demanded an extra N25,000 from him which he promised to give him by month end. According to reports, the son who said he needed the complete money before going back to school, used a sharp object and injured his father in the process.